As of July first, it is illegal in the town of Brattleboro to give out “single use” plastic bags; the flimsy, shapeless things you get at the grocery store. This is a perfect example of government overreach with unintended consequences, and a failure to learn from others’ mistakes. First, it’s not fair to label those flimsy bags as “single use.” We use them for lots of things after we’re done using them to carry groceries. Most ubiquitously, they line garbage cans throughout the house. Personally, I use them on dog walks for picking up waste. When I travel, I’ll use one to wrap spare shoes, and stuff a couple extra in my suitcase for dirty clothes as they accumulate. They are handy, light, tie up, and fold compactly. But here’s what happens when you ban them, and I know of what I speak…. My family chooses Chatham, Massachusetts, as a regular vacation destination. 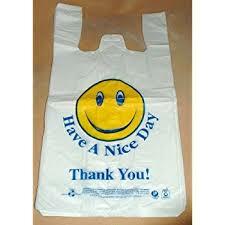 Chatham, about a year and a half ago, banned these awesome plastic bags as well. The local grocery store started giving out heavy duty plastic bags that qualified as “multi use.” They were thicker and had a most definite rectangular shape. Surely these things were more expensive, required more material, and took more energy to produce. Moreover, they were totally useless for anything else. They did not fit in household garbage cans. They were too bulky to stick in a pocket for a dog walk. You couldn’t tie the tops, so they didn’t work for dirty laundry. End result, these “multi-use” bags got used once. And, adding insult to injury, I then had to go out and buy more plastic bags to go into garbage cans, etc., that also got used once. So, to the politicians and bureaucrats in Brattleboro and elsewhere, I know you think you’re helping, but you are not.